It has been observed that I am basically a cartoon character. Cartoon physics seems to follow me around too – once someone walking with me genuinely fell over on a banana skin. It's possible that if I ran off the edge of a cliff, the air would support me for an implausible number of seconds, at least until I thought to look down. 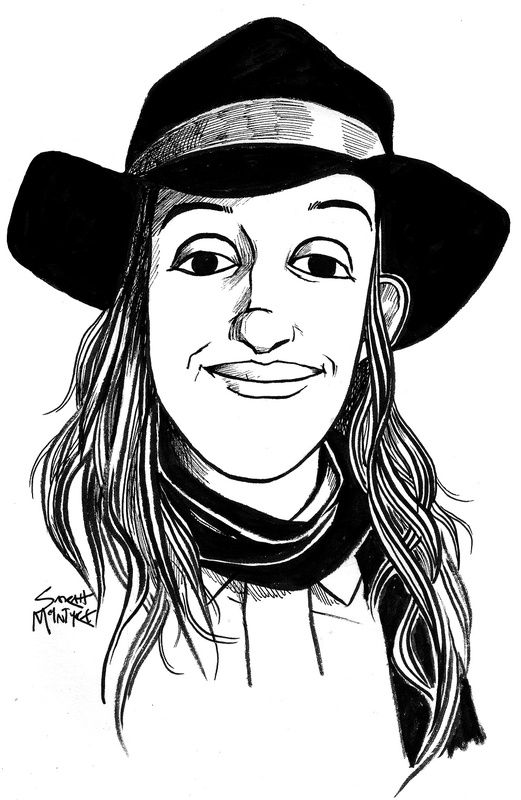 Here I am in drawing-form, courtesy of some very talented artists. 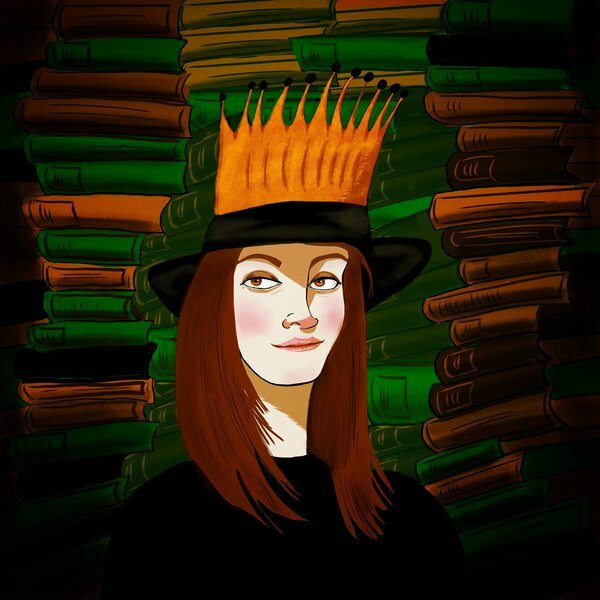 This is a picture of me by Sarah McIntyre, author/illustrator extraordinaire and wearer of magnificent hats. Here I am crowned by Tatum Flynn, author of The D'Evil Diaries and Hell's Belles (perhaps the only MG books set in hell). 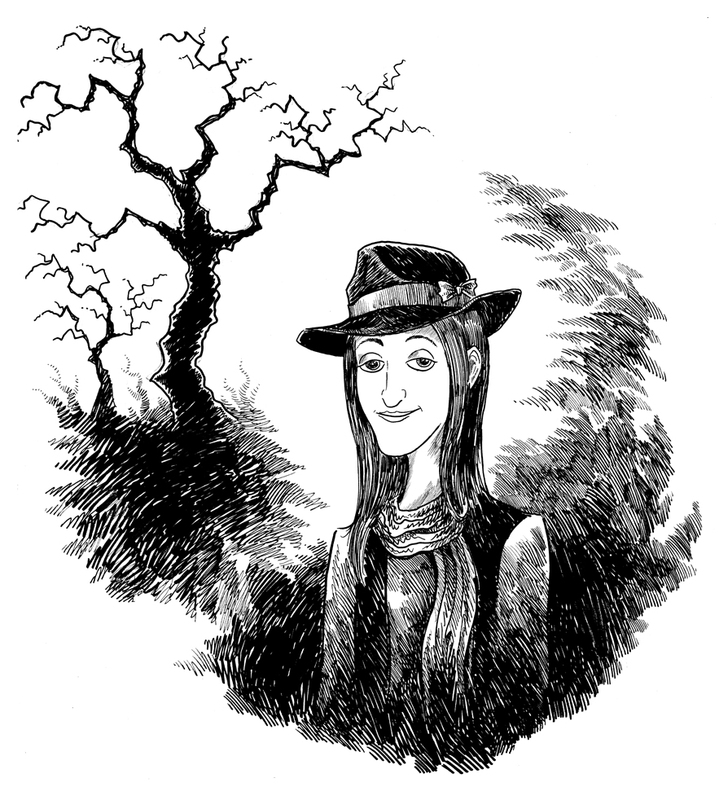 This spooky image of me lurking near a certain tree was produced by talented US illustrator Kory Merritt! 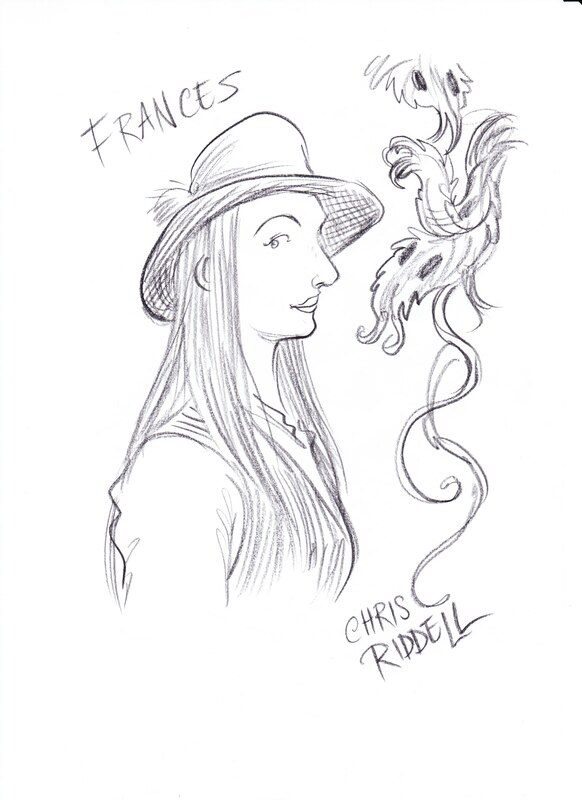 And here's a lovely picture of me drawn by Children's Laureate Chris Riddell, during our event at Cheltenham Literature Festival! Chris also drew all the wonderful pictures for the new illustrated version of The Lie Tree.